So you’re looking to start your very own news site are you? Are you an inexperienced web developer? Are you trying to express your content in creative, unique and beautiful ways? Well, this top five list of WordPress themes, specifically made for the news, is about to be your best friend. It’s important to note that this list has no particular ranking due to one factor. Everyone is looking for something different. Certain themes excel in certain ways, and those specific aspects of the theme may be perfect for some, but not others. Overall, all themes included in our top 5 article are of the highest quality and recommendation. The MH Magazine WordPress theme receives a spot on this list for its professionality and extremely friendly user interface. The theme is flexible in the sense that you can create anything, examples being news blogs, news discussion boards, news websites, editorials, and way too much content to fit into one article. MH Magazine features an optimized SEO menu, custom widgets, custom menus, advanced layout options, and so much more. All of these features are also readily available for use by anyone, it doesn’t matter if you’re an experienced web developer or a complete beginner. Why not try out MH Magazine today? Click HERE to buy now or to try out their free live demo. 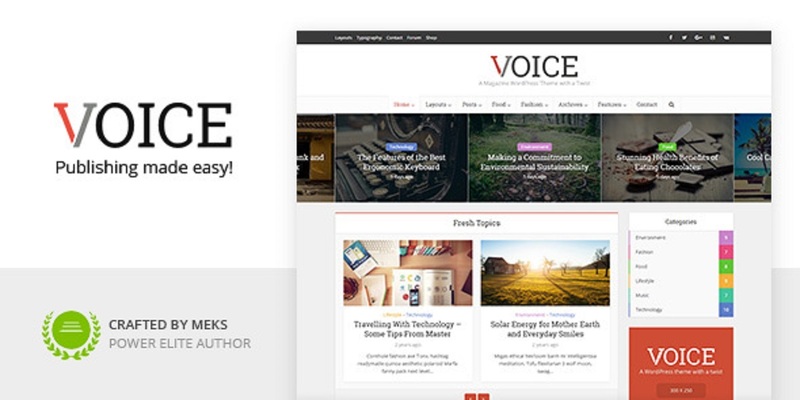 Best, a WordPress theme that highlights the significance of the words basic and straightforward. When it comes to reporting news, it’s best practice to be as least biased as possible. This means what you display needs to be clear and not confusing. What better way to do this then with a remarkable WordPress news theme that is super easy to use, has lots of fun features, and is incredibly responsive. 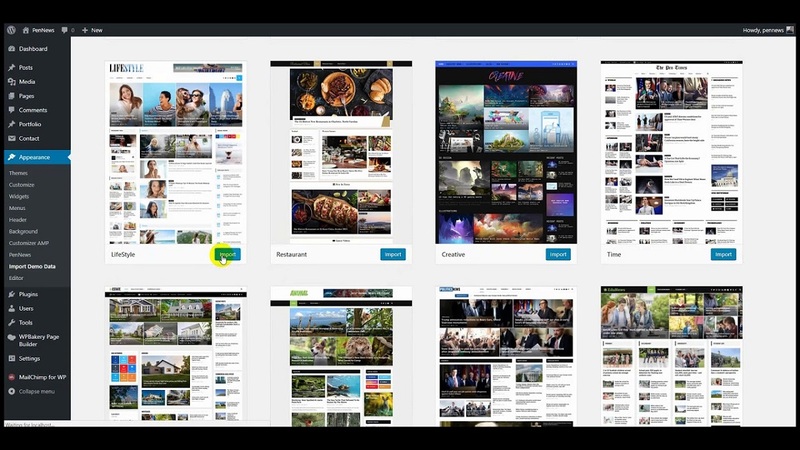 The theme is known by its users to be insanely customizable, and are constantly saying that they love their websites because of how customizable and convenient the theme truly is. Even through the customizations, the theme never loses sight of it’s one driving principle. Clean and engaging is best. 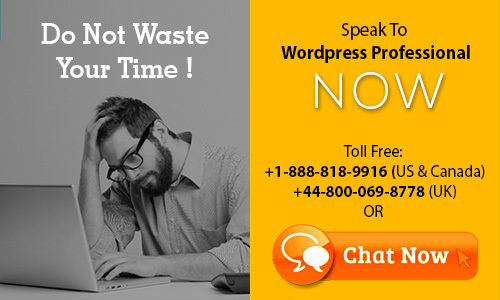 When it comes to themes like these, that are very oriented towards non experienced web developers, it’s very important for there to be an excellent customer service system put in place. Fortunately for this theme, their customer service and support team are top notch quality and are always ready, 24/7, to help you with any issues you may have. Pro tip – As of September 17th 2018, “Best” has been on sale. To buy now, click HERE. Follow the link to also try out their new live preview for free! PenNews, a creative, unique and responsive WordPress theme designed and created by PenciDesign themselves. This theme is specifically designed for users with little to no knowledge on web development, but instead, a lot of knowledge on current events and how to express those events to their audience effectively. PenNews provides the creator with plenty of options. You can either create a news forum, displaying all the new aspects and additions to the modern world. You can create a discussion board, in order to start prominent and interesting discussion. You can advertise a feature of your site through PenNews as well. PenNews is not limited to these three options. The features among the theme are virtually limitless. Why not try out PenNews today? The customizability and ease of use is a for sure way to bring in customers and readers nice and easy. Click HERE to buy now or to try out their live preview. Jannah News is a WordPress theme intended on bringing about a fresh and new content marketplace for its users. Fresh and responsive designs, complex website demos and plenty other marvellous features come included when you download this theme. Jannah News boasts its innovative and unique style as it turns heads and changes how media and news is represented to the world. 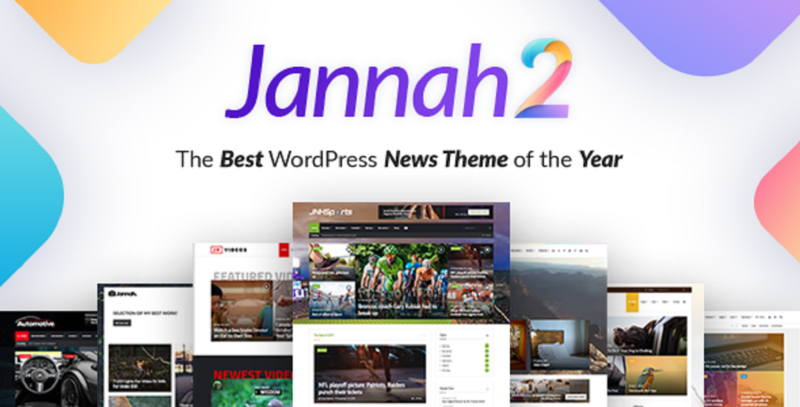 With the newly updated version of Jannah News (Yes, this means you must make sure your theme is up to date in order to use the full range of options that Jannah News supplies), there are dozens of fresh and new layout options, as well as modernized content sharing options and services. The best part about this theme? It’s free! Where else can you get a free theme that has this many options? Clearly Jannah News deserves its spot on this list. Why not give it a try today? After all, it’s free to use and download! 5. Voice! Clean, Professional… News! Once again, this contender displays the immense importance of a straightforward and clear news webpage. Far too often are news outlets bombarding their readers with too much information. Fortunately for all of us, Voice has the ability to take the same amount of knowledge, and arrange it so that everything is clean and organized. Two vital aspects of the site that rank among this top five list. Wait! What about the other “clean” theme? You’re right… I guess we should rethink this one as someone has already done it… What else has Voice featured that makes them stand out? Hmm… One-time payment options, financing options, free lifetime updates, over one hundred and fifty post layout combinations, “World-class support”, mega menus, a smart modular system, and so much more. Like seriously, this theme is so incredibly complex, but so simple at the exact same time. Hard to beat if you ask me! Either way! Feel free to try out this miraculous theme by clicking HERE. We hope that this in-depth listing of the top five news WordPress themes was helpful and allowed you to obtain your goal! If this article unfortunately did not help you obtain your goal, fear not! 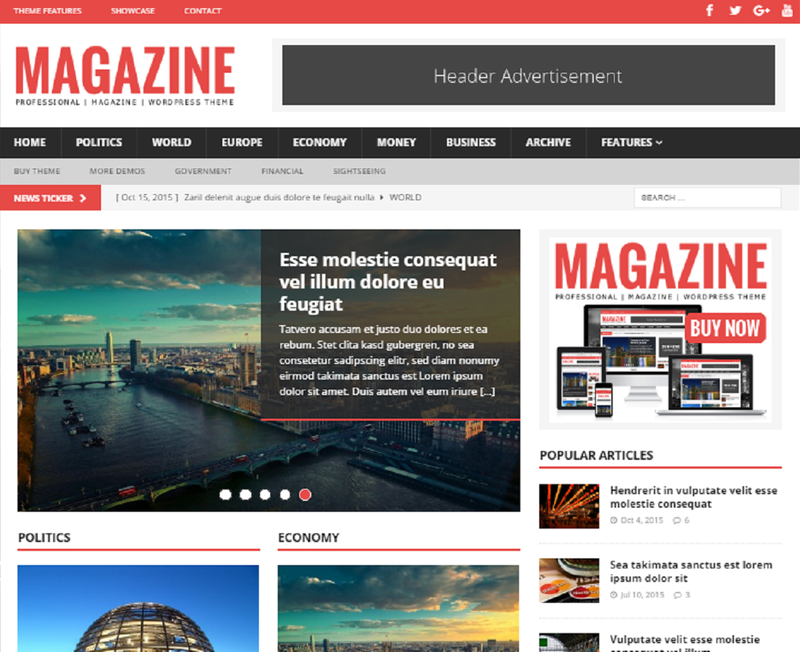 New themes are released every day, meaning more top theme articles will be on their way! Feel free to leave us any comments or concerns, and we’ll be glad to help you out as best we can! Which News Theme Do You Like ? Need help in Theme Selection or Theme Issue? We are available 24/7 by Phone or Chat.